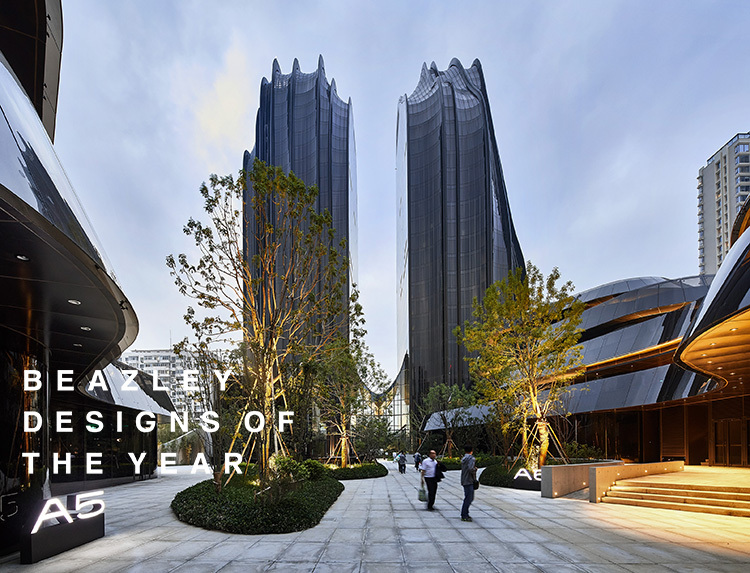 MAD's "Chaoyang Park Plaza" has been nominated for the London Design Museum's Beazley Designs of the Year Award. Inspired by traditional Chinese landscape paintings, "Chaoyang Park Plaza" remodels the relationship of large-scale architecture within our urban centers. It introduces natural forms – “mountain, brook, creek, rocks, valley, and forest” – into the city. The asymmetrical twin tower office buildings on the north side of the site sit at the base of the neighboring park’s lake, and are like two mountain peaks growing out of the water. The small-scale, low-rise commercial buildings appear as mountain rocks that have endured long-term erosion. They seem to be randomly placed, but their strategic relationship to one another forms a secluded, but open urban garden, offering a place where people can meet within nature in the middle of the city. Now in its eleventh year, Beazley Designs of the Year is the Design Museum's annual celebration of the most original and exciting products, concepts and designers in the world today.